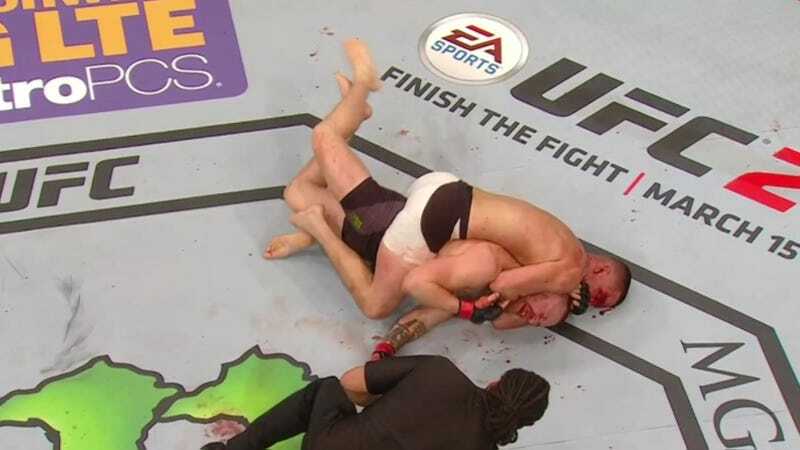 Nate Diaz choked out Conor McGregor in tonight’s UFC welterweight main event, shocking the promotion’s featherweight champion with McGregor’s first loss in six years. Diaz, a late replacement for the injured Rafael dos Anjos, was a four-to-one underdog. He came into the bout with eight UFC losses to a wide variety of opponents. McGregor, meanwhile, was undefeated in UFC and last lost to Joseph Duffy in the UK-based Cage Warriors promotion in 2010.